Click here if you’d like an email gift certificate. 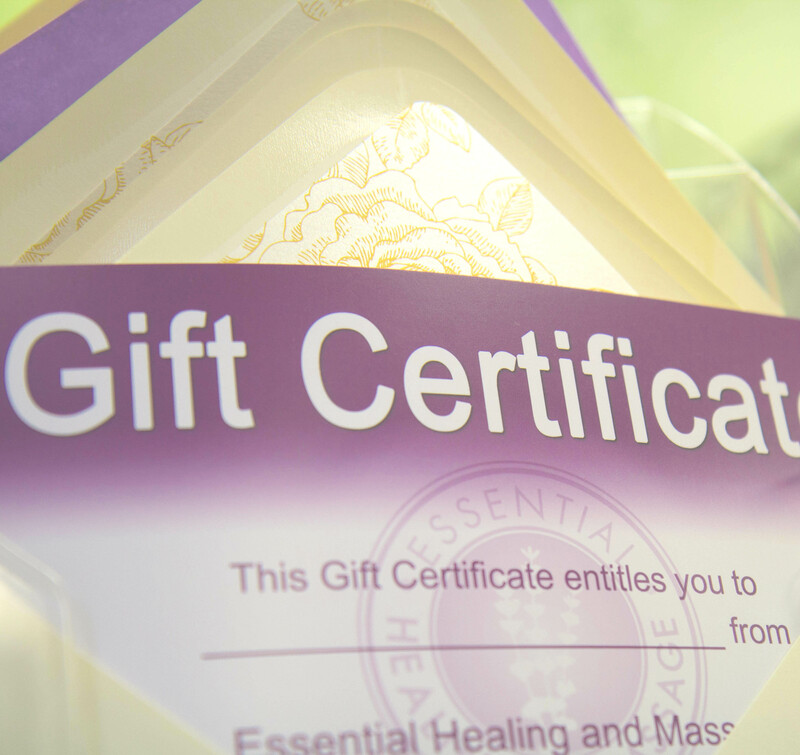 WANT TO GIVE THE GIFT OF MASSAGE? USE THIS OPTION TO HAVE YOUR GIFT CERTIFICATE MAILED TO YOU OR PICK IT UP LOCALLY. (IF YOU CHOOSE A LOCAL PICKUP, PLEASE CALL TO SCHEDULE A PICKUP TIME. WE OPERATE BY APPOINTMENT ONLY, SO WE WANT TO MAKE SURE WE’RE THERE FOR YOU.